So let’s start with the exciting news. Next year, September to be precise, I am flying out to the United States of America to teach a week long Scottish cooking course! It’s taking place in North Carolina at the John C Campbell Folk School and I’m ridiculously excited about it all. I reckon this is going to affect the blog in two ways. Firstly, there are going to be a lot of Scottish recipes appearing on these pages in the coming year. This is something that readers have requested in the past but I’ve never really acted on it. With 30-40 recipes to perfect before next September, you can expect a range of traditional Scottish recipes along with some modern favourites and dishes that make the most of Scottish produce. Secondly, I reckon I’ll be blogging more frequently. A demanding job and difficult personal situation has led me to neglect this space in the last few years. I like to think this project is going to revive my blogging efforts and that I’ll be around more often. That’s the plan, anyway! So let’s start today with Finnan Haddie Tart. Finnan Haddie is cold smoked haddock. It can be poached in milk or grilled or roasted and served as is but most folks associate it with the rich soup, Cullen Skink (recipe here). 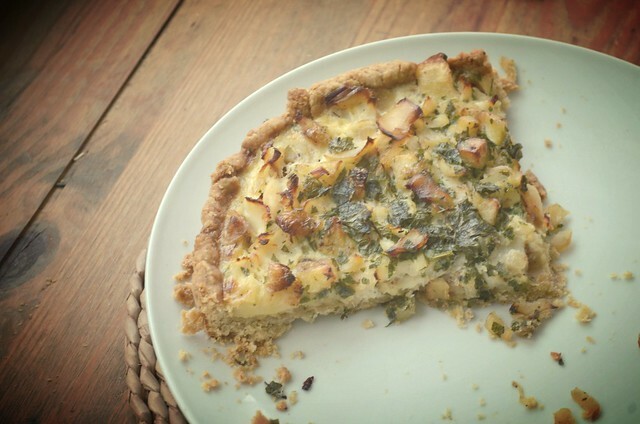 The following recipe uses the smokey, creamy flavours of Cullen Skink but in the form of a tart rather than a soup. It’s really rather lovely served along side a big salad and some crusty bread. First make the pastry. If you are lucky enough to have a mixer, simply pop everything into the bowl and process briefly until the ingredients come together in a ball. Otherwise, rub the butter into the flour and oatmeal until fine crumbs have formed. Stir in the egg and oil and form a dough. Chill the dough for an hour before rolling and using to line a 28cm flan tin (preferably loose bottomed). Chill again for 15 mins. Line the pastry case with foil and fill with baking beans (I use dried chickpeas). Bake in a 190 oC oven for 20 mins. Remove foil and beans and bake again for 10 mins. Remove from oven and leave to cool. While the pastry is cooling, fry the onions in oil over a medium heat until translucent. Add the potato and continue to fry, stirring frequently, until potatoes are almost tender (approx 15 mins). Set aside. Poach the fish in the milk for 5 mins. Remove the fish from the milk and flake, taking care to remove all bones. Mix the fish with the potatoes and onions. Add the crème fraîche and egg to the milk. Beat then season with salt and pepper. Stir through the parsley. Scatter the potato/fish mix evenly in the pastry case then pour in the liquid. Bake in a 190 oC oven for 40 mins. Best served warm rather than hot. This entry was posted in Food, Recipes, Scotland and tagged finnan haddie, food, haddock, recipe, Scotland, tart. Bookmark the permalink. Oh my gosh Wendy!!!! I am so excited for you! Fabulous!!! Plus- am totally excited for more recipes- love love Cullen skink so would love this. We don’t get haddock here really- though I can buy it frozen- so not sure if best to use frozen or use another white fish.ideas? :)) You’re always welcome to be my guinea pig! I’m looking forward to more Scottish recipe. This one sounds great. I’m particularly intrigued by the oatmeal in the pastry, and am bookmarking it to try. Hi Wendy – well I know what you mean about neglecting blogs! I need to get mine back on track. In the meantime, I think I am as excited as you about the teaching course, it sounds brilliant. Congratulations on your trip tp America , It sounds very exciting ! My grandfather , who lived well into his eighties despite smoking like a chimney , swore by lots of smoked haddock and daily bowls of my granny’s porridge to keep him fit . I wonder if he’d have approved of having his favourite fish transformed into “one of they quiche things ” ? I don;t know , but I certainly do ! Congratulations on your upcoming journey to this side of the pond! Look forward to trying some of your Scottish dishes and seeing you more often on your blog — you never know, there might even be a cookbook in your future! All the best. Woohoo! What an exciting opportunity. Will look forward to the Scottish recipes too! Thanks, Johanna! Do fancy doing this! You are going to be in a lovely part of the world! I’m excited for you. When you say “fine oatmeal,” what do you mean? Oat flour? Is it something you make yourself by blitzing rolled oats in a food processor? Not as fine as oat flour. I did as you suggested and just blitzed normal oats in the blender. I love the look of this tart. Cullen skink is a favourite of mine and I can just imagine it in tart form – delicious I am sure. Your trip sounds very exciting. I have just returned to blogging after a loooong break and am pleased to have rediscovered your lovely blog! Cullen skink in a tart? Sounds like heaven! Can’t wait to try this. And your exciting news is indeed very exciting, congratulations! I’ve been reading your blog for about a year. Such exciting news about your trip to the USA next year! And I live in North Carolina! I hope your experience here is amazing! 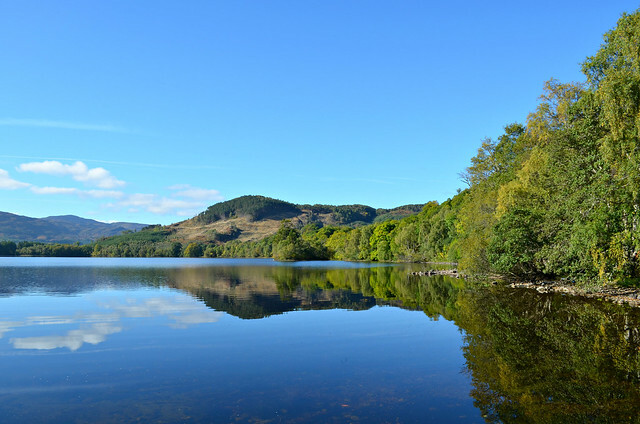 It’s very hot in September here:) I adore all things Scottish and love the recipes on your blog. A friend made me Scotch eggs last week, yummy! Know you will llove teaching at the school. I used to live nearby. Look up their wonderful resident potter Michael lalone. he is great!